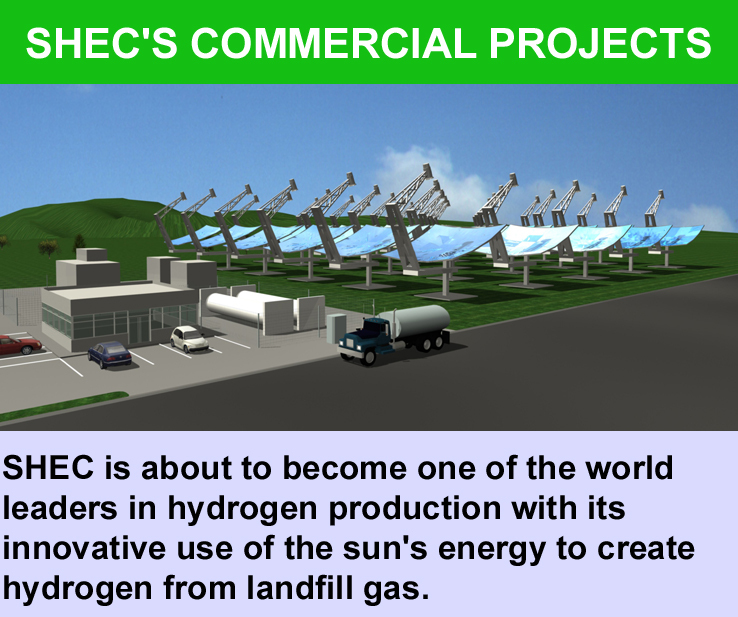 SHEC Concludes Hydrogen Workshop for "SHEC Station #1"
With the world's first solar hydrogen landfill project coming closer to the point of breaking ground, project partners coordinate the deployment of the project. This meeting was an unparalleled success. It is so gratifying to see so many corporations and people all focused on our common goal. With the world's first solar hydrogen landfill project coming closer to the point of breaking ground, it was necessary that all project partners meet to more closely coordinate the deployment of the project. Giffels Associates Limited hosted the Renewable Solar Hydrogen Project Workshop on June 21 and June 22, 2006 in Toronto, Ontario, Canada. This workshop was the first comprehensive gathering of resources dedicated to SHEC's proposed Regina Fleet Street Landfill Project. A total of 50 individuals from SHEC, Giffels, the City of Regina, SaskEnergy, Clean 16, the University of Toronto, Hydrogen and Fuel Cells Canada and the Saskatchewan Research Council attended the two-day event. The conference was opened by Victor Smith, CEO of Consulting Services of Giffels and Tom Beck, President and CEO of SHEC. A special quest speaker, Ry Smith of Hydrogen and Fuel Cells Canada, provided an overview and history of many of the hydrogen projects in Canada and their synergies with the Fleet Street Landfill project. On Day 1, following the opening plenary session, a total of nine technical and project management presentations were delivered by seven speakers on topics ranging from landfill gas cleaning, solar hydrogen production, gas storage and distribution and project communications. Day 2 included a presentation by Saskatchewan Research Council on their dual fuel hydrogen vehicle program. A series of technical and business break-out sessions filled the remainder of the day including a marketing session, to accentuate the importance of SHEC's corporate image, presented by ARTiculation Group and Splashinteractive. Overall, the event served to bring a strong dedicated team of resources together from across Canada to focus on moving the Regina Solar Hydrogen project closer to fruition. Feedback from the event was positive and we had the first chance to closely coordinate all of the key organizations. After the workshop, Tom Beck, President and CEO of SHEC said "This meeting was an unparalleled success. It is so gratifying to see so many corporations and people all focused on our common goal." He went on to say, "On behalf of all management and staff of SHEC I wish to thank everyone and especially Giffels for hosting an event of this magnitude. It truly has enabled all involved to move forward for the delivery of the world's first Renewable Solar Hydrogen Production plant to produce clean hydrogen from polluting gas emissions from a landfill." SHEC, a research and development company now embarking on commercialization, aims to become a world leader in providing solutions for the production of clean, renewable energy for the emerging hydrogen economy. Founded in 1996, SHEC has developed leading-edge technologies to more economically harness the power of the sun, reduce the temperatures required for the disassociation of water, more economically produce hydrogen from fossil fuels and produce hydrogen from biomass sources. This release includes certain statements that are not descriptions of historical facts, but are forward-looking statements. These forward-looking statements may include the description of our plans and objectives, assumptions underlying such plans and objectives and other forward-looking terminology such as "will be," "see," "may," "expects," "believes," "anticipates," "intends," "proposed," "projects" or similar terms, variations of such terms or the negative of such terms. There are a number of risks and uncertainties that could cause actual results to differ materially from the forward-looking statements made herein. Accordingly, there can be no assurance that actual results will meet expectations and actual results may vary (perhaps materially) from certain of the results anticipated herein. 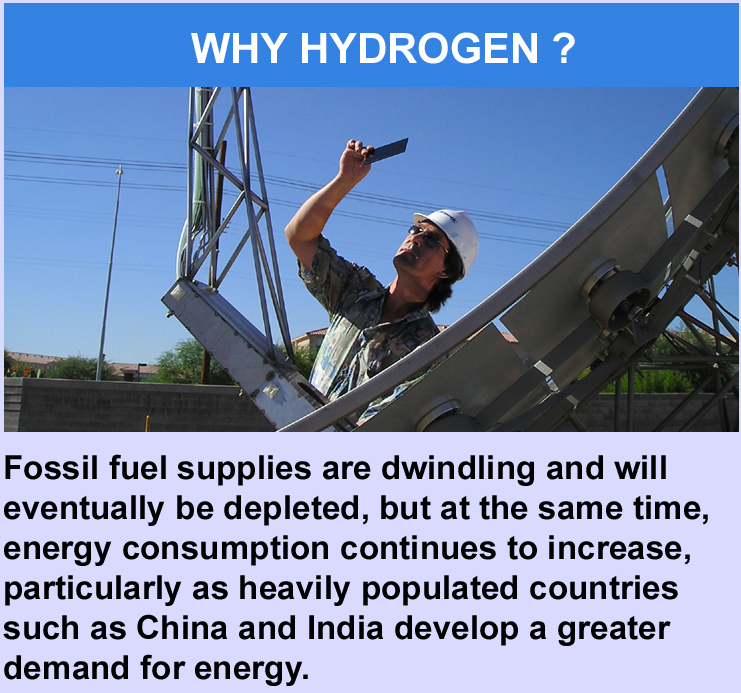 SHECs Commercial ProjectsImage of proposed solar hydrogen production station Why HydrogenWhy to we need to transistion to hydrogen? Environment and SocietyOur Mission is to provide the world with an inexhaustible source of clean, renewable energy by harvesting the energy of the sun to produce an economically viable source of hydrogen. 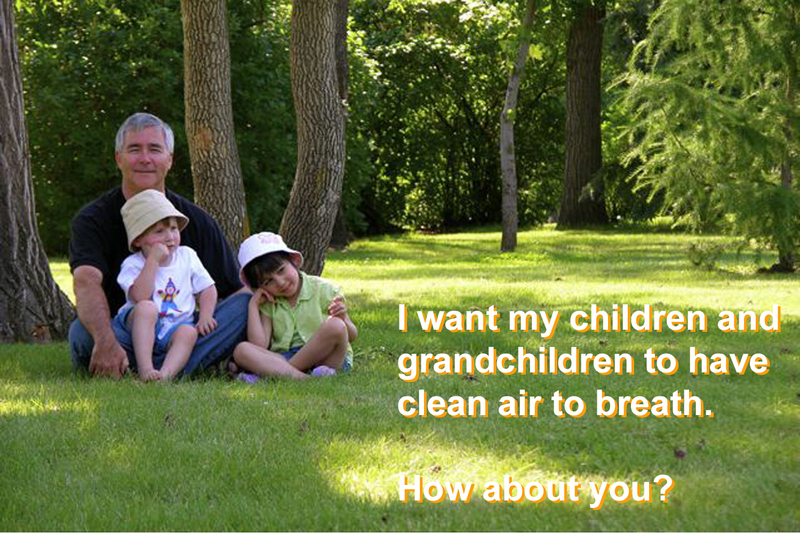 Clean Air for our Children and GrandchildrenWe must consider the legacy we will leave for our children and grandchildren. A polluted world or a clean one.